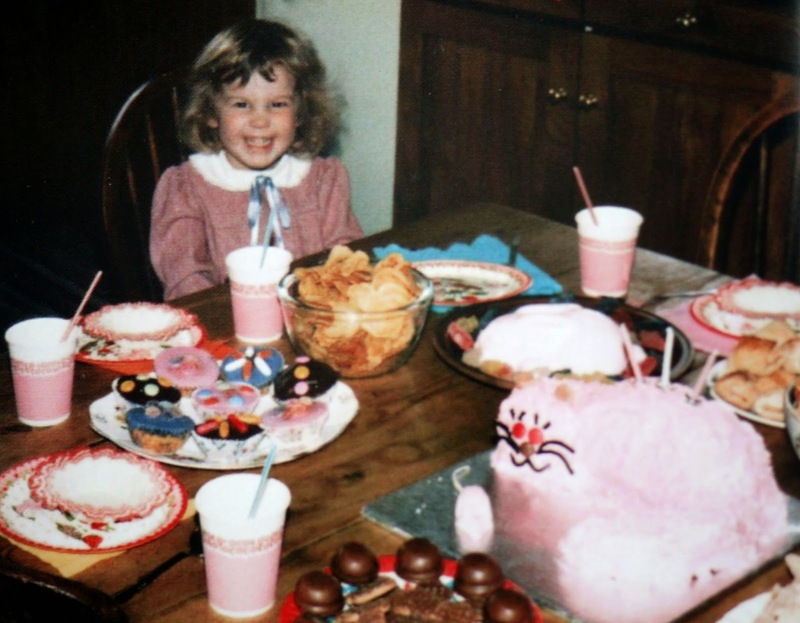 Just look how happy I am at the thought of a ginormous pink cat cake! 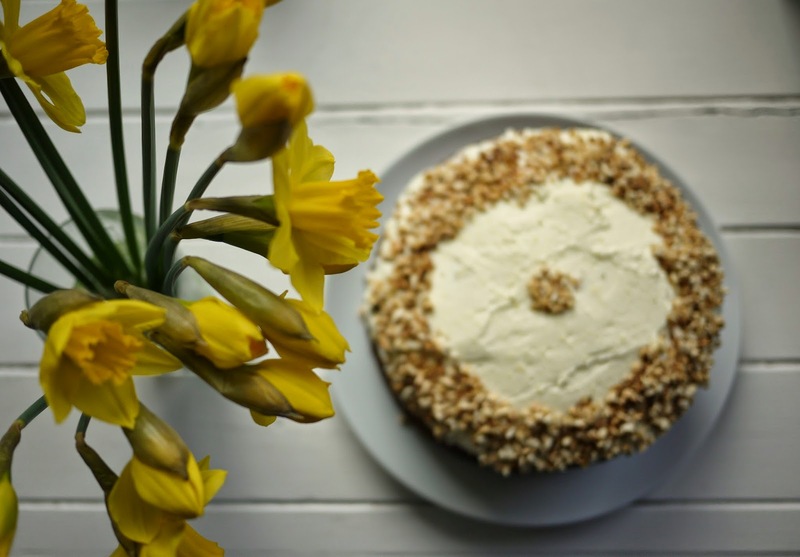 So, as a huge thank you to my Mum in a million, I thought to bake this Hummingbird Cake. 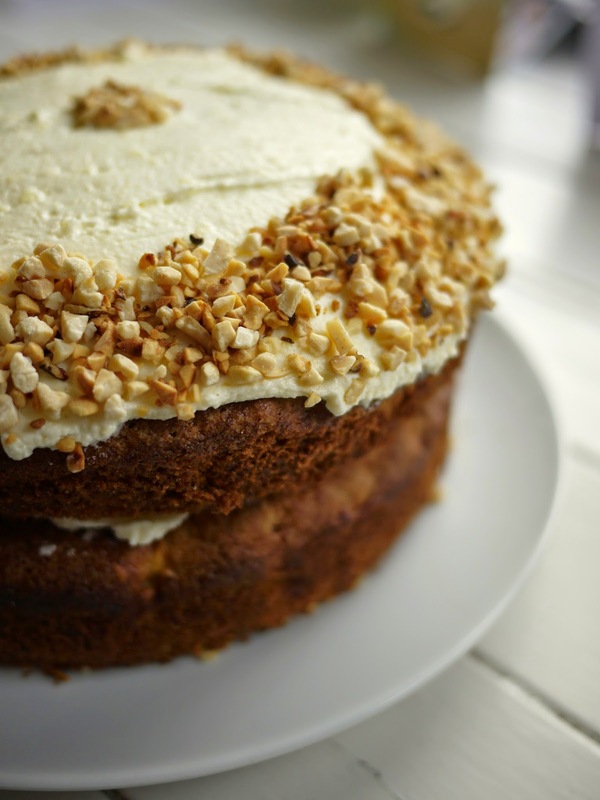 This indulgent cake, which hails from the Southern states of the USA, is packed full of juicy pineapple, banana and cinnamon and topped with a delicious cream cheese icing and roasted pecan nuts. It is inspired by one of my all time favourite puds as a child, Mum's Pineapple Upside Down Cake, which we'd often have on a Sunday following a roast dinner. Once I'd carefully extracted the unwanted cherry and catapulted into my brother's bowl, I'd tuck in with gusto and be requesting seconds within, erm, seconds. 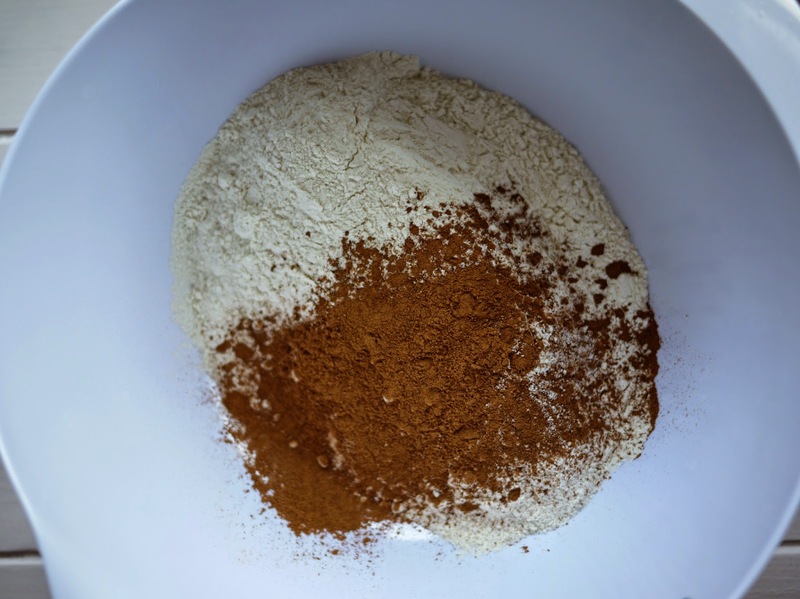 I'm also contributing this recipe to Beko's blogging challenge for Mother's Day. Beko have just announced the launch of a new page on their website celebrating their unique oven induction hob technology. Induction hobs work like a gas hob, but are easy to clean and have special technology to heat up the surface of a magnetic metal pan, minimising wasted energy and the potential risk of injury. 1. Preheat the oven to 180C/350F/Gas Mark 4. Grease and line 2 x 23cm round cake tins. 3. 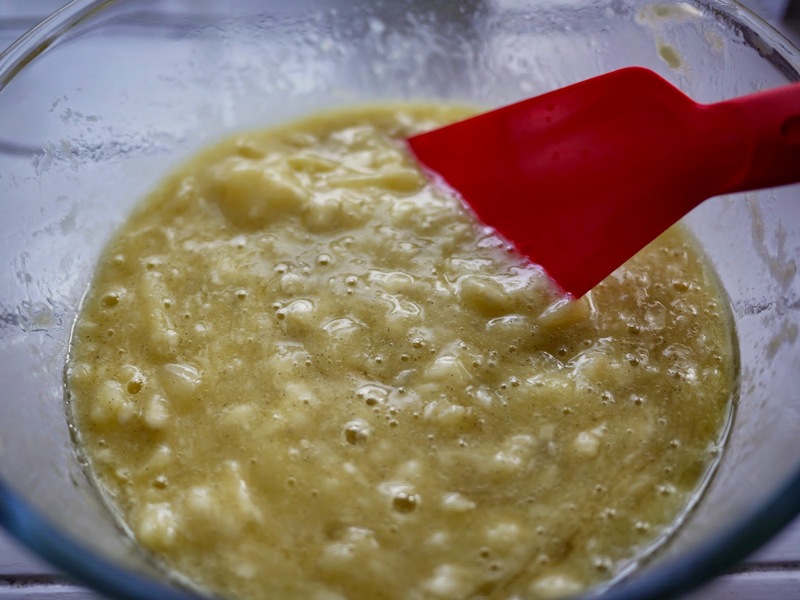 Stir in the sugars and a pinch of salt. The origins of the name of the hummingbird cake remain a bit of a mystery. 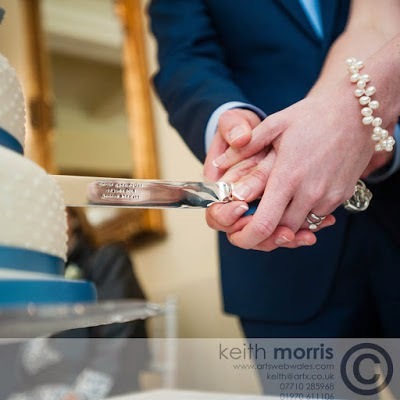 I love the thought that it was named 'Hummingbird' because it makes you 'hum with happiness' when you tuck in! I am very very impressed with that pink cat cake! YOu look so happy about it too! 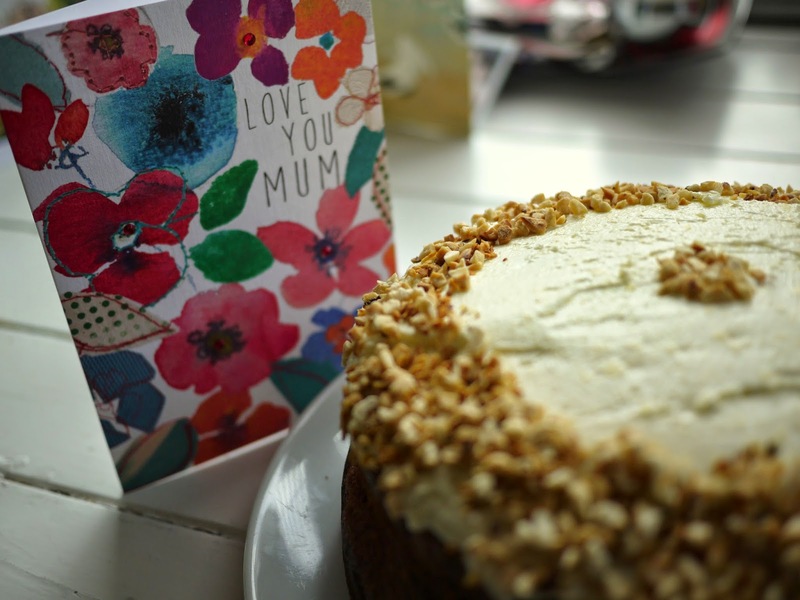 Lovely Hummingbird cake for your Mum! I love Hummingbird cake. Your mum is definitely a talented baker and it clearly runs in the family! That's a fine cake that any mother would be pleased to receive I'm sure. I'm very impressed with the pink cat cake especially since there seems to be a pink mouse getting in on the act - couldn't be better when you're three. Keep up the fine family tradition. So excellent baking runs in the family I see ;) Hummingbird cakes are delicious. I also love your pink cat cake. I have just made the cake but am being very good and saving it for tea. Does it need to be kept in the fridge due to the cream cheese? Hi Mark! Great to hear you made the cake- thank you for letting me know! I left mine out without refrigerating it as it was pretty cold in our kitchen overnight in early March. 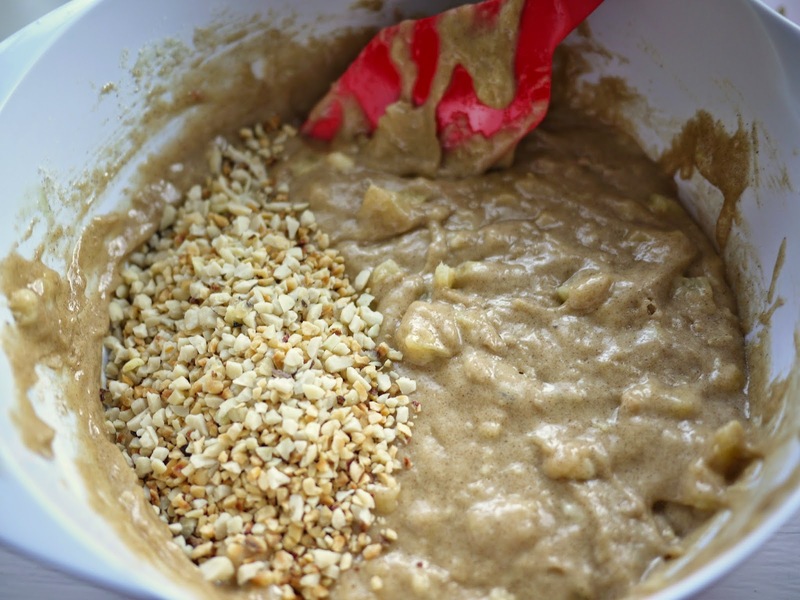 I stored it in a cake tin and we ate most of it the following day- it was absolutely delicious. So I guess it depends on how warm the storage is! In e summer months I've often placed cakes with cream cheese frosting in the fridge to avoid any melting. Hope that helps. Enjoy!